Beef is a high-quality source of protein containing vitamins A, B, D, E and K. Beef is also rich in phosphorous, zinc, iron and essential fatty acids. Aids in the management of inflammation associated with certain skin disorders. Wild Atlantic Mackerel is an excellent source of omega-3 fatty acids containing twice as much per unit weight as salmon. 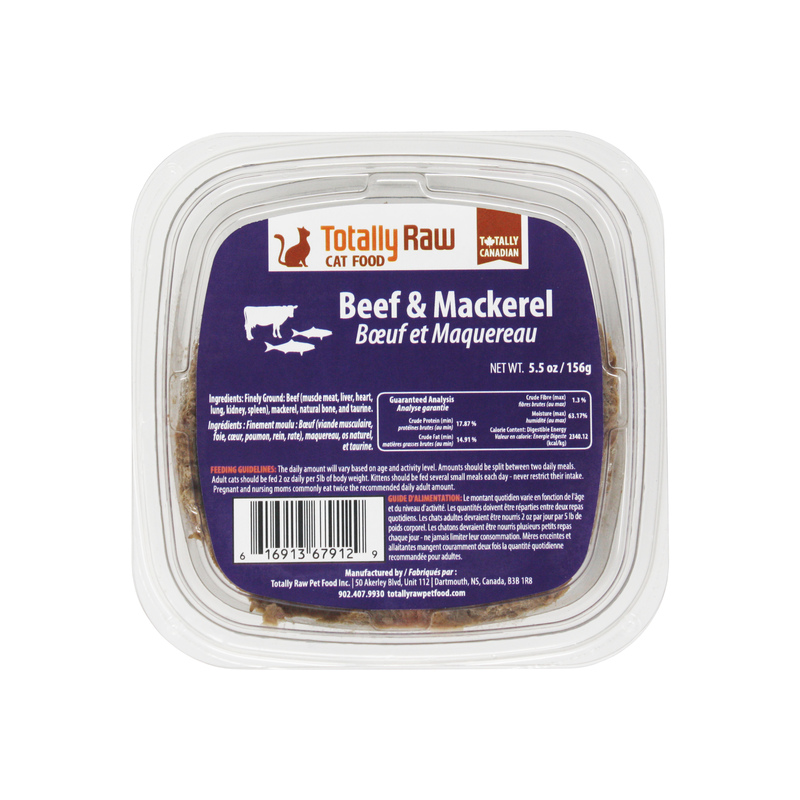 Mackerel supports the proper development of the nervous system and visual acuity. Atlantic mackerel is extremely high in vitamin B12. Taurine is an essential amino acid that plays a critical role in ocular and cardiovascular health. Taurine is included in all TR cat food. 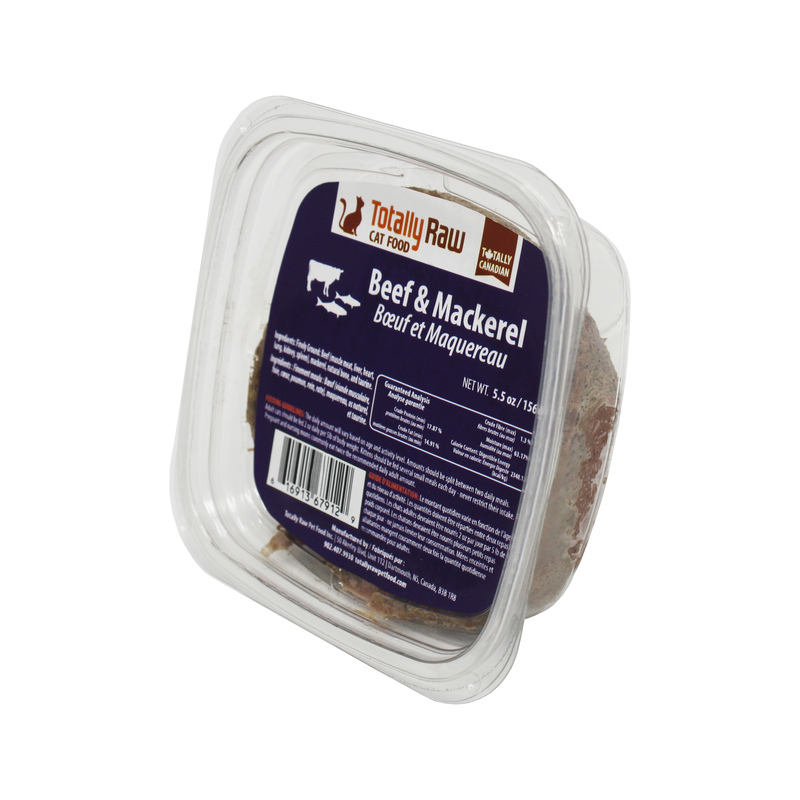 Ingredients: Finely Ground Beef (muscle meat, liver, heart, lung, kidney, spleen and natural bone), Whole Atlantic mackerel and taurine. Directions: Thaw pots in the refrigerator. Some cats prefer their food slightly warm. To warm the meal, submerge the covered pot in warm water until it reaches the desired temperature. Never microwave Totally Raw Cat Pots.